Another variation for creating dwellings in Ars Magica is the idea of carving them from the rock, rather than conjuring them. In this way the caverns, rooms, hallways, etc, are hollowed from the foundation materials and no elaborate vis expending ritual is needed.A carving spell could also convert a cliff face into a separate tower too, as the spell would be effective above ground or below as long as the right sort of materials were present. 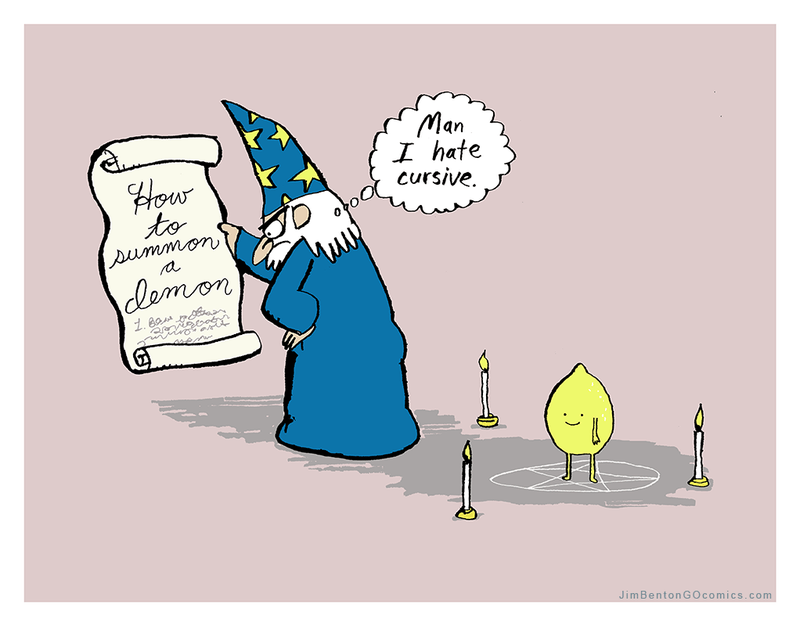 A darn good idea, however implementing the spell should come with some significant pragmatic limitations. Given a large enough mass of rock, unearthly patience, and a lot of time a skilled artisan could hollow an internal city from bedrock; perhaps akin to the Mines of Moria from Tolkien’s Lord of the Rings. Or just a little humble storage or extra meeting space for a growing covenant or cult. Or perhaps given a large enough boulder, a simple dwelling or blind could be crafted. Firstly due credit – The source idea for this post was a thread about Carving a Mystic Tower raised on the Atlas Games Ars Magica forums, where in turn an old 4th edition supplement The Sanctuary of Ice originally mentioned the spell effect in passing. I hadn’t considered a carving effect when proposing alternatives and extensions to the CtMT post I wrote earlier. Beginning with how the spell might function, there are several key considerations. How does the caster identify a suitable area of effect which will be structurally sound? Probably with Intellego magic, to determine what size area they have to work with, and where the structural load is, so as to not threaten the strength of the surrounding area. Should an Intellego component be mandatory? I’d say so, unless the scenario is darn simple, like a very small space in an area which has no other load or foundations. Can the carving be done in very small segments? Sure, subject to the time the caster has, it is very reasonable to only carve small segments at a time. Which magical Arts are appropriate? Perdo and Terram obviously. I’d support Rego too, as a way to emulate the work performed by skilled miners, with a darn significant complexity modifier to the Finesse ability check. Structure of the caverns would need to follow the natural strengths of the surrounding material, and you’d probably see many areas where the foundations just couldn’t be tunneled through without affecting the structure above. This will mean curving chambers and odd shaped rooms. The size of the area of effect it a major factor. It is more complex to tunnel a long extended area than a shallow alcove. Typical magnitudes for complexity can handle this scaling up well. The spell needs to be either cast in partnership with an Intellego effect, or have an Intellego effect built in to verify there is no negative effect on the strength of the surrounding materials. There is also the major consideration that many places just would not be appropriate targets for the spell. A solid mass of bedrock is the ideal target, and anything less is going to have either only a fraction of the benefit, or be totally inappropriate for the spell. A simple approach for these sets of spells is to design them as individual parts of a more complex set of spells, and allow the interaction to build to a complex outcome. Firstly I think it makes a lot of sense to separate the spell to find and plan the carving effect from the spell which performs the work. That adds a requirement that the caster have the Intellego spell active when they are casting, and that makes good practical sense. Here are two variants of the carvings spell, for different size results. The stone mass targeted by this spell is destroyed in a manner consistent with the caster’s desires, typically in such a way to create hollows, rooms, or internal spaces. The spell does not allow for a sophisticated level of detail, and is limited to simple sets of interconnected geometric shapes. A maximum volume of up to 10 cubic paces of stone can be affected at one time. The stone mass targeted by this spell is destroyed in a manner consistent with the caster’s desires, typically in such a way to create hollows, rooms, or internal spaces. The spell does not allow for a sophisticated level of detail, and is limited to simple sets of interconnected geometric shapes. A maximum volume of up to 1000 cubic paces of stone can be affected at one time. Then the caster will need a way to determine where to tunnel. Initially the Intellego spell was designed as Duration: Concentration however this did not seem to reflect the complexity and “what-if” style design choices the caster would be making from the information provided by the spell. Update: This effect as originally written was lacking; D:Sun makes little sense and it needed to be T: Part to select an area of land from the whole. The caster understands the current earthen formation across an area of natural earth and stone, and comprehends formations, features, structural stress points or weaknesses, use of foundations, and gains a detailed understanding of the ramifications of excavating within the area. The time taken to understand the scope of an area varies with the areas size. A small area a few paces across is immediate, up to a fortress sized area which will take hours to fully comprehend. The spell is intended to be used as part of the design of new structures, however it may also be used for a variety of other purposes, such as tracking where an underground stream travels, or where to best place sappers when attacking fortified walls. I had a query on two Ars Magica spells that appeared ostensibly to be doing the same thing, but have different final effects. From my first look it appeared one was incorrect in the final spell level. In fact both were right, but it took worked examples for me to understand it. Paralysis of the Gift (PeVi20), from HP p.86. At level 20 it reduces casting totals by 10, R: Touch, D: Conc. Belittle the Ferocious Warlock (PeVi20), from MoH p134. At level 20 it reduces casting totals by 5, R: Sight, D: Diam. Reduce the casting total for all magic cast by the target by half the (level +2 magnitudes) of the spell. If 2 or more spells affect one target, only the highest has any effect: the penalties do not add. The spell must penetrate the target’s Magic Resistance in order to have any effect. Why can two Perdo Vim spells be at the same level and have significantly different effects? Well, the trick is due to the way the guidelines use the term “level”, and the way that the changes to Range, Duration, or Target are performed for general spells. The Paralysis of the Gift effect requires R:Touch which is slightly lower level, so more of the magnitudes can be applied into the core spell power. PotG = ((Lvl 20 – 2 mags for Touch/Conc) +2 mags )/2 = -10 mod to CT.
BtFW = ((Lvl 20 – 4 mags for Sight/Diam) +2 mags )/2 = -5 mod to CT. Fundamentally the level is always the spell level the character is seeking to learn the spell at, and the guideline’s use of +1 mag or +x mags is where the adjustments for Range, Duration, and Target are applied. It would be clearer to say “chosen effect level”. Hope this helps a little, writing it did. A great comic by Jim Benton. See more work on GoComics and his book. Found via IO9. Perdo Mentem ha a selection of spells for impairing or harming the mind, but no listed spells to recover from these effects. There are new implied guidelines to be found among the spells beyond the core rulebook. The Shattered Mind, a Call of Cthulhu card game. Awesome. Base 20 – Cure or offset a malady or confusion, requiring a ritual to be permanent. This was chosen as it is equivalent to a serious aging crisis, a disease, or a malady in the Creo Corpus spell guidelines. Base 30 – Cure or offset insanity, requiring a ritual to be permanent. This leads to two sample spell effects using those guidelines. One for the befuddlement, confusion, and memory degradation effects, and the other for the most severe mental malady – insanity. Permanently restores a mind from maladies and confusion, caused either naturally or unnaturally. Permanently restores a mind from severe maladies and insanity, caused either naturally or unnaturally. Both spell could be made as non-ritual, but would then not cure permanently, and also need additional levels of power to account for their longer non-permanent duration.